We regularly do catering in and around Rotterdam. Mostly for business events, but if you are organising a big private party we are also happy to organise it for you. Depending where, we can do all the preparations at one of our restaurants. However, we prefer to take our smoker and prepare it right on the spot for you. Our barbecue dishes are always best if they’re served right from the smoker. 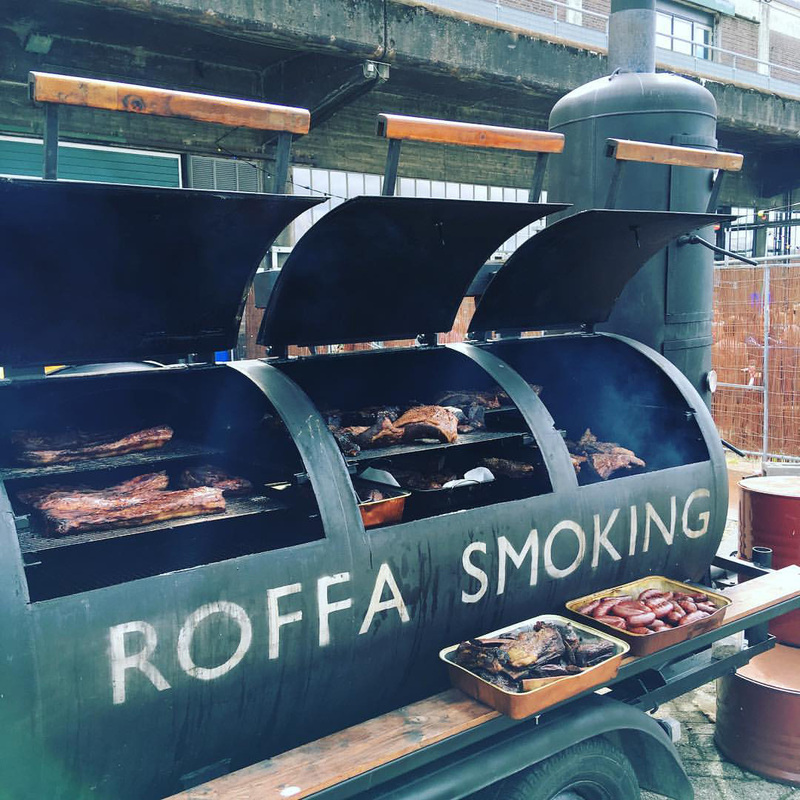 And bringing our own custom made smoker always creates a spectacular experience. Not to mention the smell of barbecue and wood fire. 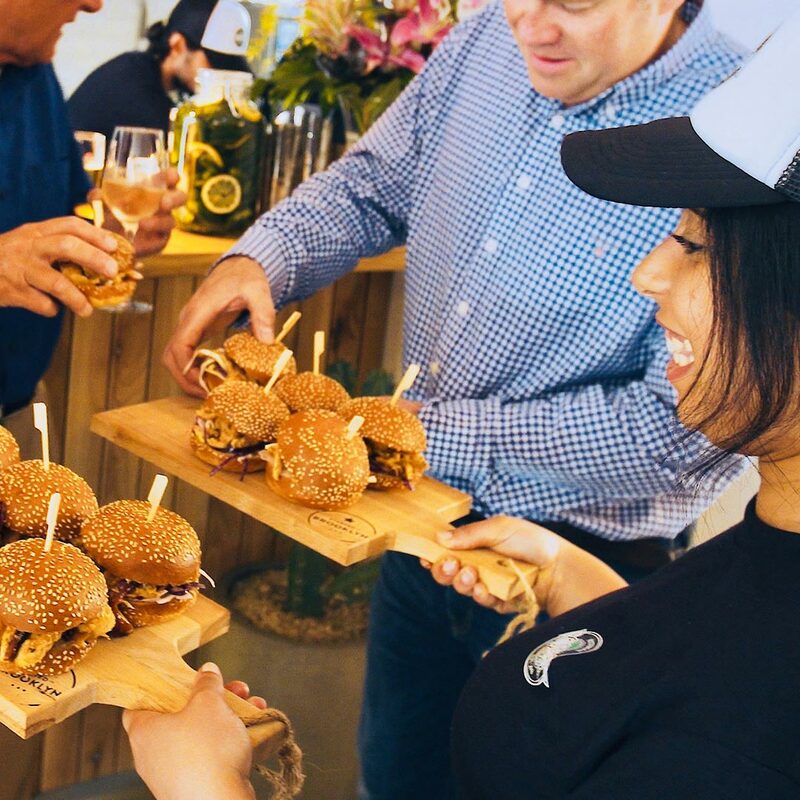 Standing around with a cold beer, while our pit master creates your favourite barbecue dishes, is definitely the best kind of catering, don’t you think? We are open to any wishes you may have for the catering menu. We always create a menu specially for you and your colleagues or guests. We don’t do just main street food dishes, but also snacks, desserts and drinks if you wish so. Just let us organise it all for you, so you don’t have to worry about it!